My first ever mesh wreath! I found it easier to use than burlap. By making scrunches and then using �pipe cleaners to hold them in place it was a breeze. 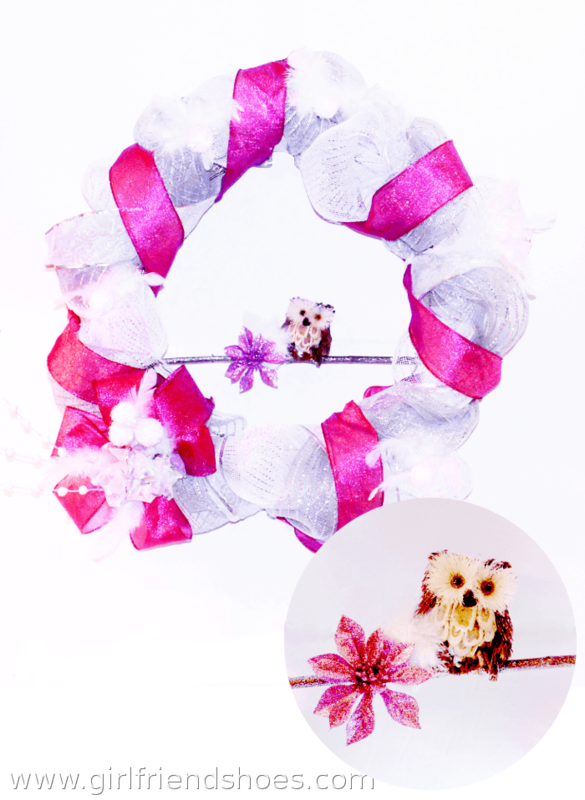 I found some cute embellishments to use on my wreaths such as, the cute little owl in the middle of this wreath. I used white feathers to accent the white snow balls and my favorite color of accent ribbon, pink! 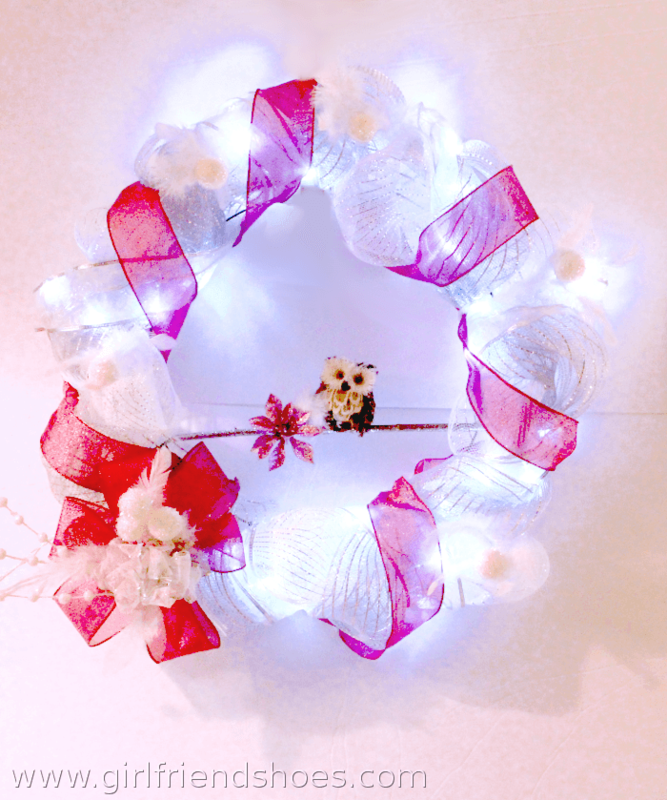 Of course, I also used LED light ribbon . I just freakin’ love LED lights. I’m going a little crazy with the wreath making. Unless I acquire a house with 10 doors very soon I’ll have to start getting rid of them. The best is yet to come though, I have a huge green wreath sitting there waiting to be decorated…and another twig wreath…and another mesh one…and two smaller green ones. What do you think would make some good color combos for wreaths?